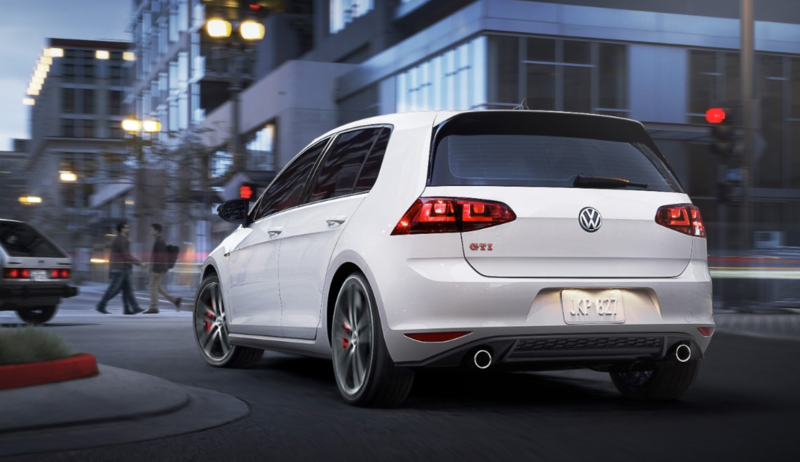 The Volkswagen Golf GTI is the brand’s sporty compact car. It has a rich tradition of blending the practicality of the Golf hatchback with a zippier engine and sportier mechanicals, creating a car that many enthusiasts regard as near-perfect. Prices start at an MSRP of $26,415. It’s a humble performance car that’s just as suited to sprinting along mountain roads as it is tackling a haul of goods from Wal-Mart. What You Should Know: The Golf GTI has plenty of zoom for most, however Volkswagen does offer the higher-performance AWD Golf R to take things to another level. Coolest Feature: The smile-inducing turbocharged engine makes the Golf GTI a hoot to drive. Summary: Fast without excessive flash, this is a performance car for introverts who have a fun side. Did You Know? According to Volkswagen “GTI” stand for Grand Touring Injection.